Visit our car wash today! Locally owned in Tiffin, Ohio since 1989. Visit our convenience store and explore what we have to offer! Let us provide our many services to help you get where you need to be. 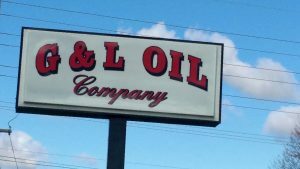 Serving Tiffin and western Ohio, G&L Oil Company is a distributor of fuels, as well as commercial and industrial lubricants. We offer a wide variety of products to meet the needs of your automotive, agriculture, construction, metal working and industrial requirements. We maintain a large inventory of products, available in cases of quarts and gallons, pails, kegs, drums and bulk delivery. 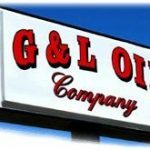 G&L oil company offers deliveries of both transport and tank truck deliveries of diesel fuel, gasoline and bio-diesel fuels. G&L is a distributor for Idemitsu Lubricants America, Shell, Pennzoil, Wolf's Head, Houghton, Tribology Tech-Lube, Camco and Global Lubricants. We also sell and service bulk tanks, hoses, pumps, nozzles and meters for storing and dispensing our products. We specialize in bulk industrial, metal working, automotive, commercial, agricultural and food industry lubricants. STOP BY OUR CONVENIENCE STORE TODAY! Along with a full line of engine oils and lubricants and truck parking with power hook up available, at the convenience store, we also offer a wide range of food and drink. 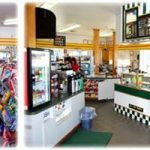 From pizza and fresh deli subs to ice cold soft drinks, our convenience store is sure to satisfy. 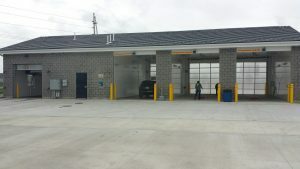 Our car wash, G&L Turbo Suds features three self-serve bays and an automatic touch-free wash station, giving you access to the most convenient car wash around. We partner with the best in the business so we can bring you the best product possible.